Hello there! My name is Addie, and you have stumbled across my newest brain child. Welcome to my coffee cornucopia where I have organized everything I found throughout my journey to discover which of the wide range of espresso machines available I would love best. I’m glad you made it here, and I hope my hours of hunting and pecking will help make your own decision easier. If you’re not entirely sure what type of espresso machine you need, I encourage you to skip the following section and jump further down this page for some good old fashioned exploring. There’s a LOT of information to go through. For everyone else, behold and see the models below. They have everything going for them, and then some. 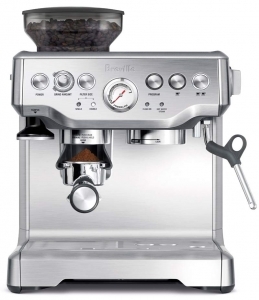 The Breville BES870XL Barista Express really makes an impact and comes close to professional grade espresso machines. It’s a well put together product, but if you’re not ready to shell out the $600 this unit costs, you better look at my next suggestions. You don’t always have to buy the most expensive to get the best quality. 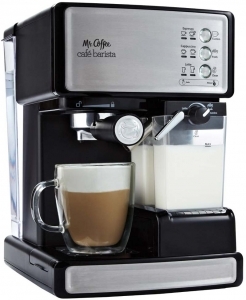 This Mr. Coffee machine does a really good job of getting milk all frothed up without any input from you. It makes a big difference in time commitment, and a big difference overall. Ok, I’m being totally serious here. Do not click on this one if you’re prone to sticker shock induced heart attacks. Really. It could be seriously bad for your health. Now that you’ve been forewarned, if you think you can manage taking a look at it, this machine really does do everything and more. And more. And even more. 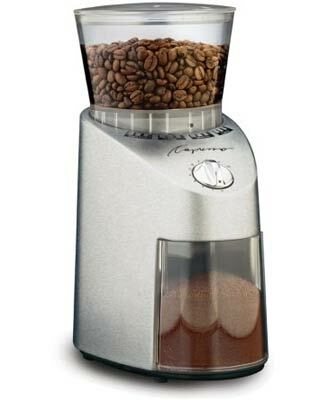 From grinding to brewing to frothing to cleaning, it’s all here. 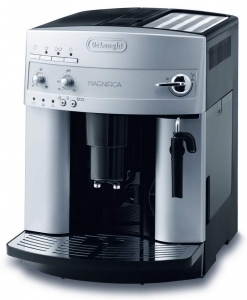 If you want more than just espresso, the Magnifica has your name written all over it. Okay, fine. 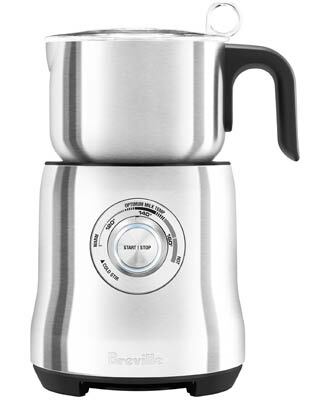 It actually says DeLonghi, but you know what I mean. 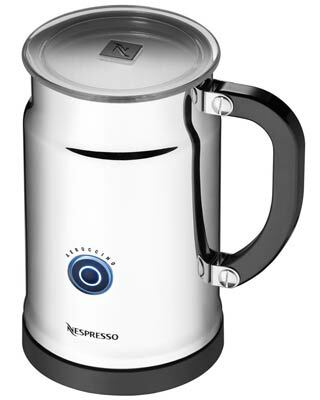 It will brew both coffee and espresso with all the bells and whistles of a super-automated machine. If you want to be able to do it all, you’re going to have to pay for the privilege. 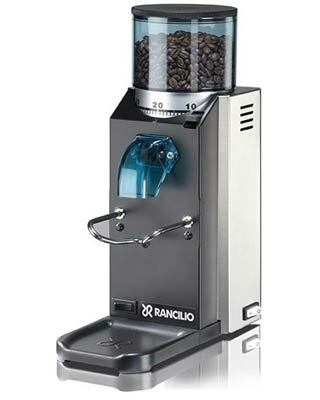 The Rancilio Silvia does one heck of a job making espresso, and you can use an adapter if you have capsules you love. It’s more expensive than a lot of capsule machines, but seeing as it does both capsules and beans, I think it’s a pretty great way to go. 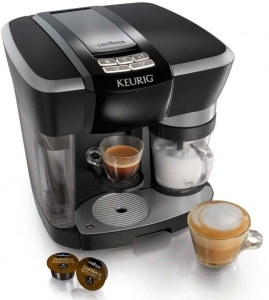 You’ll figure this out as you read through my posts, but I am not a huge Keurig fan. I have just never liked the taste of the coffee that comes out of the machines. Surprisingly, though, to me anyway, this Keurig really does the trick for capsule machines, and it makes a big impact at a really good price. Better yet, it uses LAVAZZA!!! Seriously, it’s the best coffee ever. If you want capsule love without spending a lot, the Inissia is where it’s at. 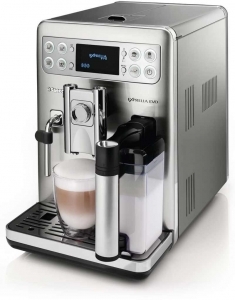 It’s a bit more expensive than an entry level espresso machine, but it’s super convenient and won’t take up a lot of space on your countertop. The pods are more expensive in the long run, but sometimes space and convenience are worth it. If you’re working with a budget, sometimes splurging is not an option. 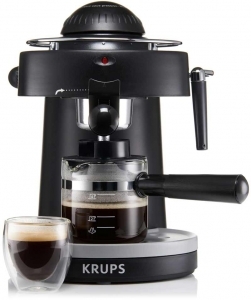 Sure, you won’t get the very best espresso with a steam-driven system, but the KRUPS XP1000 will do just about everything you need, including frothing the milk. It’s really affordable, entirely suitable, and just a really good machine. If you don’t know where to start, then kick off your search with my handy dandy buying guide and figure out what you can expect to spend for the machine that does everything you want. The buying guide answers some of the most common questions to help you narrow down your search with just a quick read. From there, you can scoot back here and go through the detail pages, or you can head on over and pick up the machine of your dreams without wasting any more time. As you’re making your way through the information that fills these pages, you’ll see different levels of automation and the different perks therein. Basically we have semi-automatic, automatic, super-automatic, and the newest player in the industry – the capsule machines. I’ll walk you through what each level means regarding functionality as well as your pocketbook. 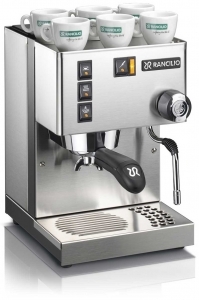 The actual functionality of the espresso machine varies greatly from model to model, and the way they work hinges on two really important processes: heating and pressure. Learn why they matter and how much of either or both of them you’ll need to make the espresso of your dreams. If you’re unfamiliar with espresso, cappucino, americano and all the other drinks you can make with an espresso machine, things can get a little confusing. Not to fear though, I have explained them all for you so you know how to make them (roughly) when the time comes. What’s A Capsule? Is It Better? 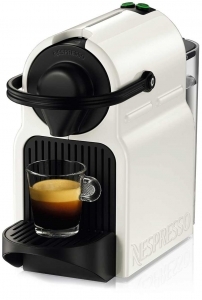 One of the biggest updates to espresso machines in the last decade or so has been the advent of machines which require neither beans nor grounds, but rather a small pod that becomes espresso when used in a specific type of machine. However, convenience does not always equate to quality, and if you’re thinking about either, or both, take some time here. Even though some machines clean themselves, it’s still a good idea to break the machine down every 6 months or so and give the insides a good once over. Stick with me and I’ll walk you through how to do all that. Yes, it does! 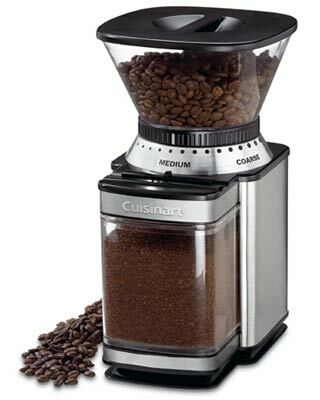 Learn the difference between expensive and inexpensive grinders, and figure out which one fits your needs best. When I was in college, I managed a coffee shop for the better part of my tenure. I got up at 4:30 in the morning to open the place up, make pastries, brew coffee, and start serving caffeine-laden drinks to the sleepy and haggard of the world. They showed up in droves to get their fix, and I happily served it and charged way more than what was reasonable for a cup of caffeine. I didn’t have anything to do with the pricing, but I could make a heck of a cappuccino, latte, or pretty much any other coffee drink you can think of. I was a pro. By the time I left to get my big kid job, though, I was also exhausted and really tired of the smell of coffee. Just the thought of it seriously made me nauseous. I hated the very idea of coffee, and I didn’t crave it for a long time. By recently, I mean until I started a job that requires a whole lot of hours and dedication and doesn’t afford me a lot of time for sleep. Don’t get me wrong, I love my job, but I really, really miss sleep. And when you can’t have sleep, you can have the next best thing: CAFFEINE. My coffee habit was renewed with a vengeance, and it was costing me a small fortune. My husband has a similar obsession with all things espresso, and it seems neither of us can start the day without it. After a year of us both making frequent stops to the coffee shop, sometimes together and sometimes separately, our budget was struggling. It wasn’t that we couldn’t afford it, it was just that I didn’t want to spend all that money anymore. So I started out on this quest to find a replacement for my daily coffee shop habit that could save us more than a little money in the long run. Now that I’ve spent several years not having to make espresso for other people, I really don’t mind making it for myself at all. I think it’s kind of fun. So basically, that’s how I got here. On the hunt for the perfect espresso-making machine, my hyper-organization resulted in a bunch of lists and pros and cons, etc. I decided it would be a lot easier to get through if all the information was in one place, with pictures and everything, so I decided to make this site to do exactly that. You’ll find everything from the best machines and the accessories you need to run them, to the ins and outs of grounds versus pods. If it’s espresso related, it’s covered here, and your caffeine loving heart will find exactly what it’s always dreamed of. 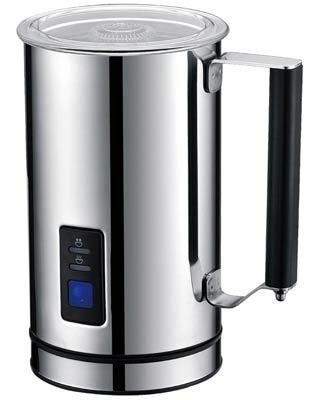 The main reason you’re here is probably because you’re looking for a new espresso machine, but don’t miss out on some of the accessories you might need to get brewed and stay that way. 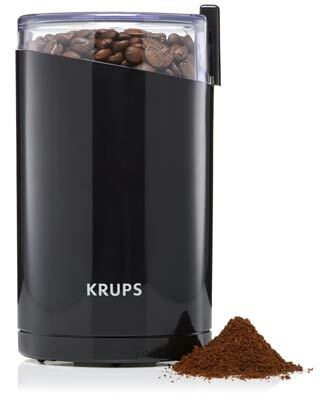 Be sure to read my posts on the best grinders, the best frothers, and the best tools you may need to perfect your espresso skills. That’s all folks! Well, not really. There is a lot more to read if you’re looking for specifics, and I really encourage you to go find them. This hunt has been a blast for me, and I’m pretty sure where my heart lies as far as my next big purchase. If you’re on the same page, you can get everything you want somewhere in these posts, and get on your happy way to brewing! Thanks for hanging out! I’m glad I could offer some assistance and good information. Stay sweet!